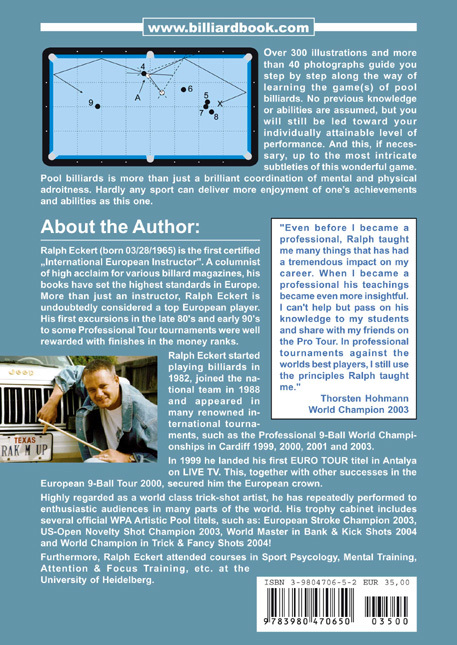 This workout is written by Ralph Eckert, Jorgen Sandman, and Andreas Huber and is used and recommended by the European Pocket Billiard Federation (EPBF) as well as the World Pool-Billiard Association (WPA) . 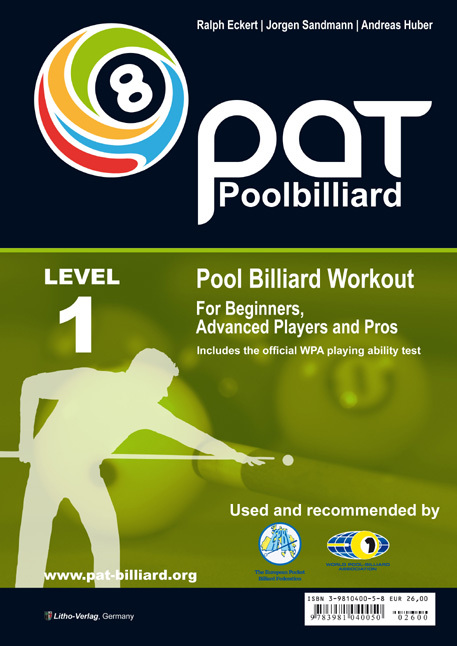 It includes the official WPA Playing Ability Test (PAT) for beginners to intermediate players. Ever wonder how you really rank in playing ability? The PAT section of this book will clear that up. It is a system to assess your skills on the basis of exercises evaluated. 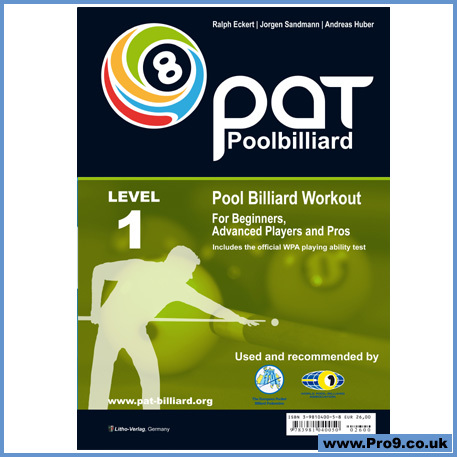 The rest of this 65 page workbook contains exercises and training games to record your personal performances and help prepare you to take the Playing Ability Test for LEVEL 1.